Once the Coppergate dig was completed in 1981 York Archaeological Trust knew they had a duty to present these precious and unique archaeological artefacts to the public and educate them on the importance of the Viking on the history of York and the British Isles. Many ideas were floated around but one thing was clear, they wanted to create a heritage experience as unique as the artefacts that would be on show and as exciting as the period it would be showcasing. 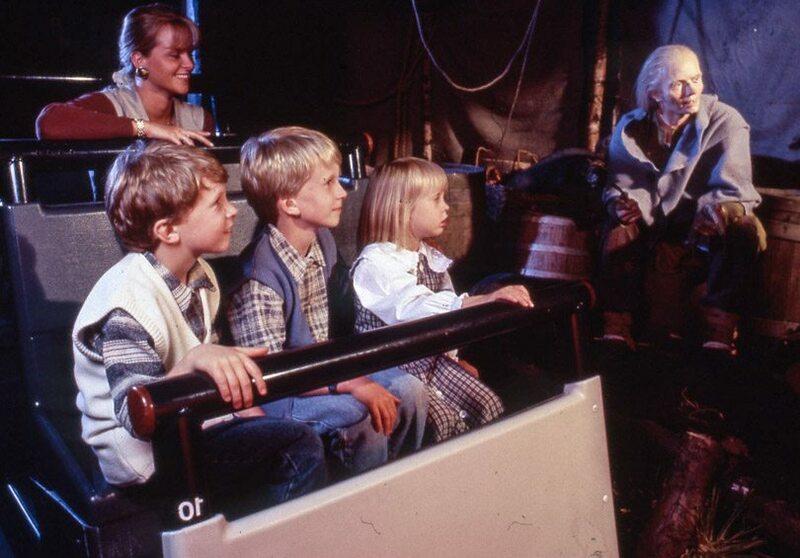 The result was a historic attraction that was more like a film set than a museum. Instead of walking around looking at exhibits, the visitor would sit in specially designed time-cars, and move around the “set” of a Viking village, taking it in from all angles, and witnessing Viking life up-close. JORVIK Viking Centre opened to the general public on Saturday 14th April 1984, taking just 3 years to design, construct and complete the recreation of Viking-Age York. Many skilled experts, scholars and craftsmen were involved in the ‘JORVIK Project’. Thatchers, potters, sailmakers, sculptors, taxidermists, silversmiths, wood carvers, coopers and leather workers, together with the design and construction team from The Yorkshire Communications Group, all helped to recreate the past, and create he JORVIK experience. In the original JORVIK Viking Centre, people from the 20th century journeyed back to the 10th century in Time Cars, which silently glided back through the years past some of the 30 or so generations of York’s people who walked the pavements of Coppergate, until time stopped, on a late October day in 948AD. Here, modern time travellers explored Coppergate and two of the house plots which ran off it. Visitors explored the stalls and workshops of Thorfast, the bone carver; Lothin, the wood turner; Snarri, the jeweller; and Svein, the leather worker. They saw that the people of Coppergate looked much the same as the 20th-century inhabitants, although far fewer reached the age of 60. 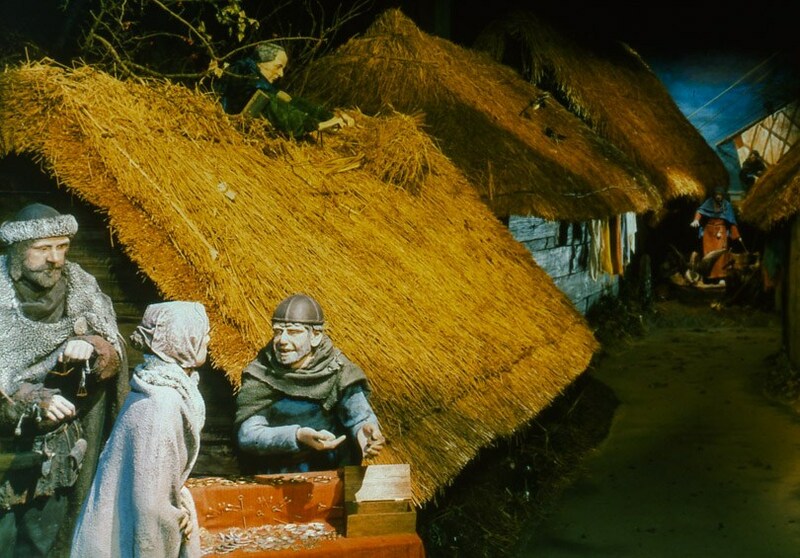 Soon they would leave JORVIK behind and travelled again in time, forward to 1980, where archaeologists from the York Archaeological Trust revealed the remains of the toilets, wells, warehouses, workshops and homes that visitors had just explored. Although modern faces were used to design the original inhabitants of Coppergate, research on what Vikings looked like continued. In 1990, when computer technology allowed the affordable reconstruction of faces from the past, York Archaeological Trust used a skeleton from 10th-century burials at Fishergate to bring visitors face to face with the Viking Age. The result was an unnervingly real presence gazing out from the past with steady and observant eyes at the present and its constant procession of visitors – ‘Eymund the fisherman’.